I don't agree anymore as I'm no longer an ogre!!! I rather want it to stay as polearm ... for me. No one wins. I turned it into a knife. 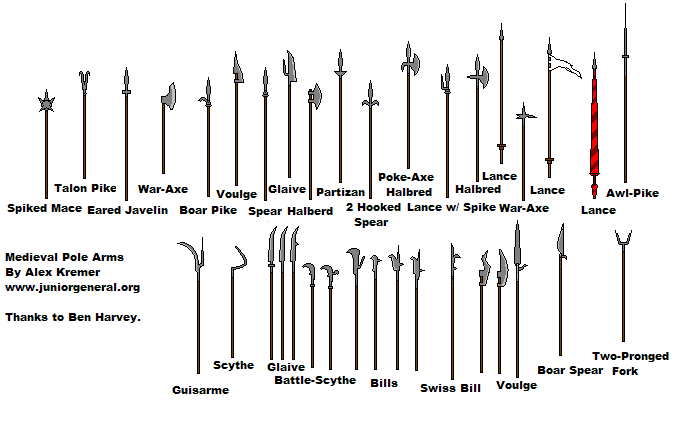 There are a variety of different types of Mauls that all fall into different categories. The Giant black maul is not specific in which category it falls into. Most mauls are in essence warhammers. Therefore, they are clubs. There are, however, splitting mauls which are axes with a large flat side opposite to the ax blade. Maul's can also be like sledgehammers, based on their design. What is clear, however, is that Mauls are rarely considered to polearms. A polearm, is in essence, a long handled weapon with some type of end. You can have a variety of these as well. Halberds have an ax blade and a spear point. 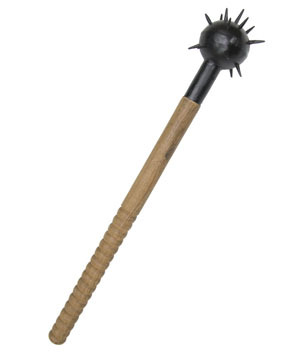 Bec du Corbin is almost identical, except instead of ax blades on both sides it has an ax blade, a spike on top, and a flat bludgeon on the opposite side. Left to right: morning star, war hammer, bec de corbin. Worthy of note here is also the fact that morning star sometimes features a chain between the handle and the ball (cavalry version to be used from the horse as it's worthless on foot). This should more or less cover everything we have.